Freshman forward Emma Grothaus may be a person of few words, but she lets her basketball ability speak for itself. A five-year varsity player from Mahtomedi, Minnesota, Grothaus began attracting the attention of collegiate coaches from around the country during her time playing club basketball as a part of the North Tartan Elite Youth Basketball League AAU program. 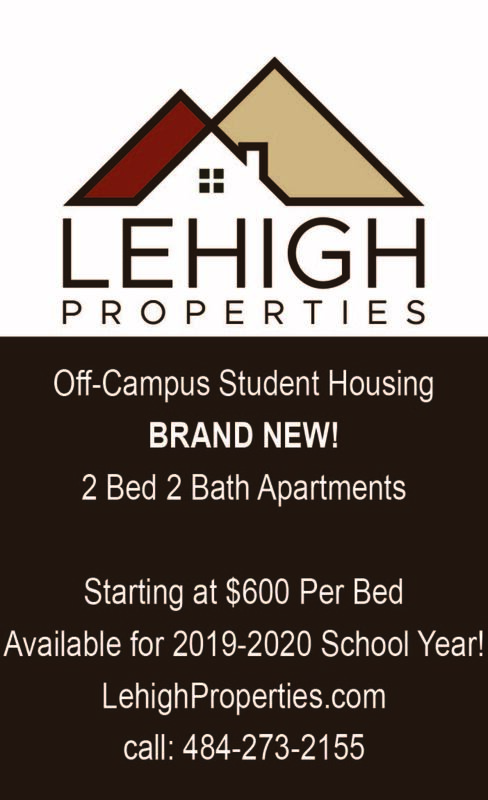 Head coach Sue Troyan said Grothaus had been on Lehigh’s radar for years, and the Lehigh coaching and recruiting staff had been watching her play since she was a freshman in high school. Grothaus racked up many accolades during her high school career. 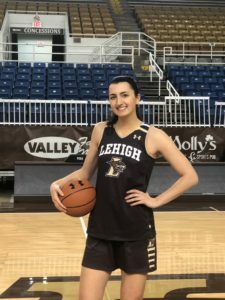 As a senior, she was rated an ESPN Top 100 recruit, an impressive recognition that Troyan said is one of the highest ranking of high school players that has ever been recruited to Lehigh. Despite her high school success and individual awards, Grothaus still had to adjust her game and her mentality to fit into a new role on a team that played with a heightened level of intensity and physicality. Luckily, versatility is one of her strengths that she applies to both game and practice settings. Fellow freshman guard Megan Walker said one of the reasons it’s great to play alongside Grothaus is because she has the ability to do so many different things. Associate head coach Glenn Rigney said Grothaus may be a quiet player, but she is very coachable. He said she is a good listener and is always open to advice and suggestions from coaches that will help improve her game. 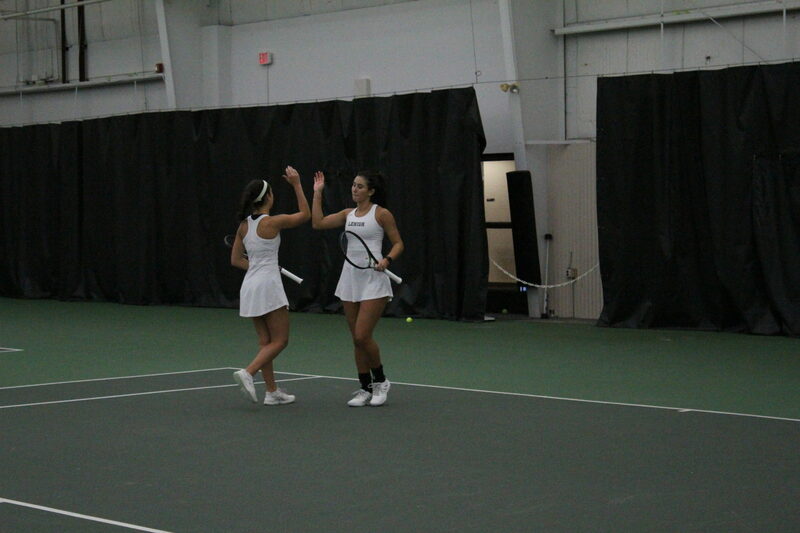 As only a freshman, Grothaus has plenty of time left in her Lehigh career to learn and improve as a player. So far this season she has averaged almost 20 minutes of playing time per game, and tries to impact games with every opportunity she is presented with. “I know I’m not going to be a contributor scoring every game, so I can rebound and do other things to be more encouraging,” Grothaus said. Grothaus said she wants to contribute not just in games, but in practices too, which are more competitive now than they were in the last few years. Grothaus said she thinks this will be a successful season due to the team’s competitive atmosphere and players’ understanding of their roles on the team. Personal goals aside, Grothaus said she wants the team to win first and foremost. She said she will do anything to win the Patriot League this season. Whether or not the team proves victorious this season, Grothaus will still play an important role contributing to the team.